Papers are available as MS Word [for Windows] "doc" and/or Adobe Acrobat "pdf" files. [Jan 2019]: "Taranaki GP swaps rural funding for personal freedom" article in the Jan 2019 edition of the New Zealand Doctor magazine. "Renegade GP Keith Blayney is switching up his funding model to free himself from DHB meddling and charging all patients at a standard casual rate". To see a pdf copy of the article, go to KeithOnNZDoctorJan2019.pdf. [13th May 2018]: My submission to the Ministry of Health on the "Mental Health and Addiction Inquiry" where I suggest what we have been doing to date is not working and that we need to apply some Evidence Based action to improving our world leading bad outcomes. There are some excellent New Zealand based prospective data, as well as international evidence for the determinants of mental Health, what isn't working and what we should be doing differently. I have highlighted the need to improve access to mental health services for ALL New Zealanders instead of the current approach of ignoring the most disadvantaged 340,000 plus who are outside the PHO system and that a better approach is needed to address the higher representation of Maori in bad outcome statistics (instead of just documenting it) without ignoring the greater numbers of non-Maori needing help. To see the full submission, go to Mental_Health_Addiction_Feedback_DrBlayney.pdf. "Better Sooner More Convenient (BSMC) business cases in West Coast and MidCentral DHBs did not meet their ambitious goals"
"Many people regarded the plans as too wide in scope and involving too many initiatives at once." "Building effective alliance leadership teams tasked with monitoring progress was challenging." The Report notes that “Working in an environment that was described as one of ‘endless change’ led to high stress for some staff, disillusionment and cynicism, staff retention issues and an inability to maintain momentum for some initiatives in both regions.” A typical General practice response was “The only difference over the years is that we need to provide more PPP [PHO Performance Programme] stats to the PHO; that does not necessarily provide better care for our patients.” Of particular concern is that Chronic care (like Care Plus and Services to Improve Access) were supposed to reduce both ED and ASH (Ambulatory Sensitive Hospital) admissions [by 30% and 20% respectively] but "There was no evident consistent downward trend for the population as a whole." This is not surprising as all the changes were management and politically (not clinically) driven and lacked a good evidence base. 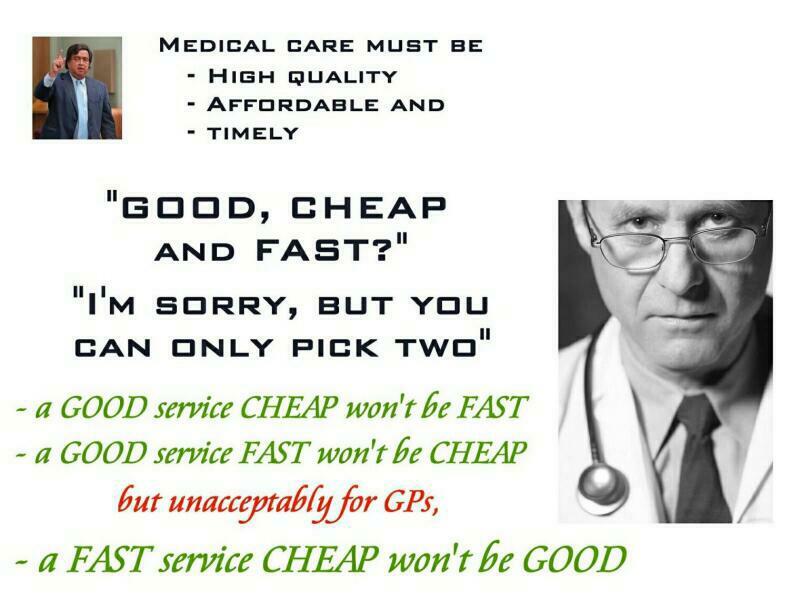 The one simple cost effective and evidence based policy that both politicians and health administrators have consistently ignored that would improve primary care and reduce unnecessary or delayed secondary care is to VALUE General Practitioners. If vocational General Practice was attractive to graduates (appropriate status as specialists, better income, better access to investigations, less unreasonable hours), there would be no shortage of NZ trained GPs who could work better for both their individual patients and practice populations. It would significantly reduce health costs, but no, GPs have to be controlled, herded into groups and treated the same as untrained generalists or Nurse Practitioners, so don't expect any improved health any time soon. To see the full report, go to oia_bsmc_midcentral_and_west_coast.pdf. 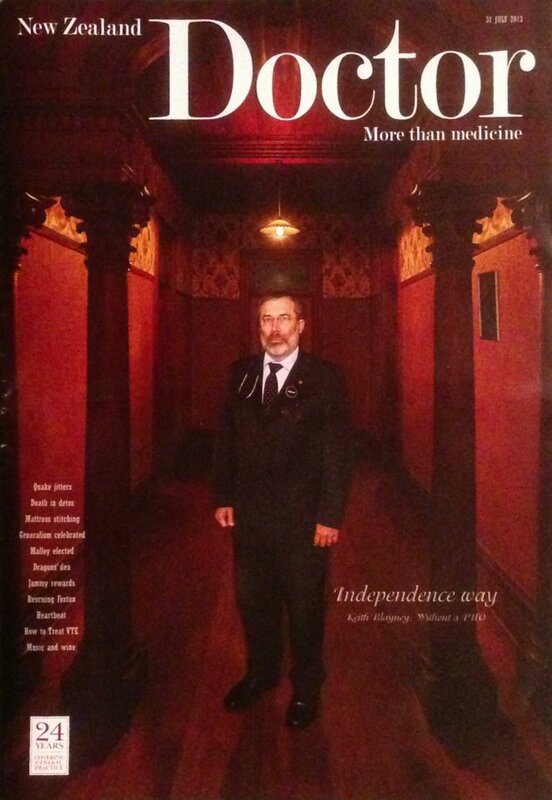 [July 2013]: "Independence way" is the feature article of the 31 July 2013 edition of the New Zealand Doctor magazine. It is about my remaining independent of PHOs, it is a good summary, but the photo makes me look far more serious than I am! 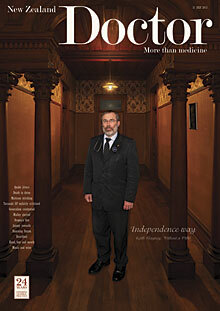 To see the article, go to Feature NZDoctor 31 July 13.pdf. [June 2011]: "South Taranaki -Alive with opportunities for better health care" is the name of the TDHB management review of South Taranaki health services for which I am on the "Steering Group" and so can ensure both a local clinical and public view is both heard and accommodated. In my view, any changes need to be "the same or better" for South Taranaki, cater for ALL (including our patients) and not destroy the hospital. Unfortunately the Management Consultation Document released fails all thee criteria and so cannot be supported. I have dedicated a whole page to this issue as it is so important. Here you will find links to relevant documents, how to make submissions, march, protest etc and my responses, including alternative models. Go to TDHB ST review page. [May 2011]: Finally, proof of the excessive numbers from the TDHB itself when figures on Etthnicity of TDHB employees, listed by employment type also revealed the total numbers! The Table found in the public minutes of the Hospital Advisory Committee of 31st May 2011 reveal a total of 292 in "Administration" and 41 in "Management", a combined total of 333 (half a devil). This is a 12.5% increase in Management & Admin from 2007, despite a Ministerial "cap" on numbers. [October 2007]: The government and local health officials repeatedly deny we have too many managers, so how many do we actually have? 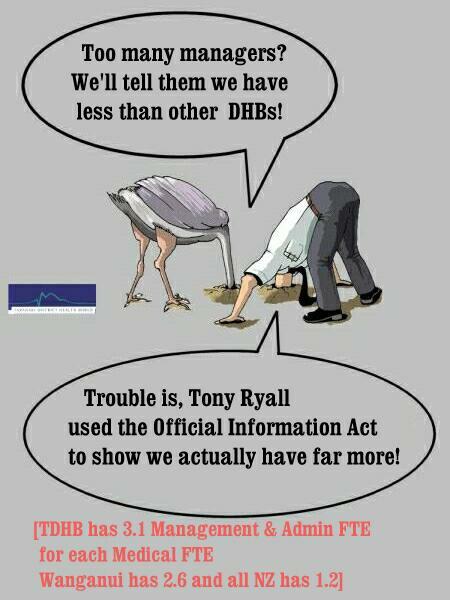 The TDHB General Manager Human Resources, in a report to the Hospital Advisory Committee [295.1] on 30th May 2006 gave the "Skill Mix at April 2006" for the TDHB as Medical 9%, Nurses 45%, Allied Health 17%, Non-Health Support 8%, Management/Admin 21% (ie over 2.3 admin staff for each employed doctor!) [Ref: www.tdhb.org.nz/board/HAC%20Minutes%2020060530.pdf] [now removed].  I have made a list of all TDHB management positions I could find (excluding P.A.s and clerical staff and excluding PHO management), the list is now 114 actual Managers. 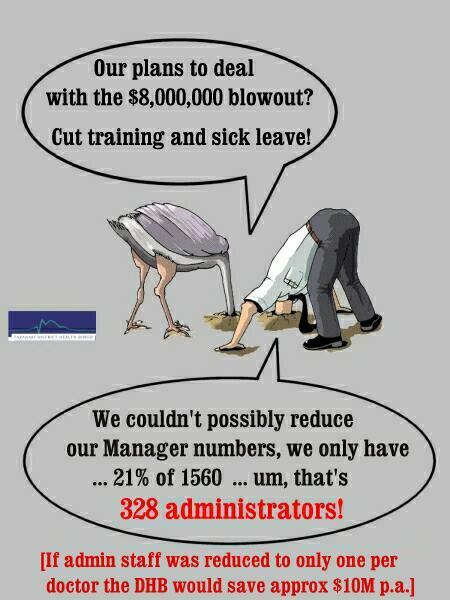  In the Taranaki District Health Board Annual Report 2017-2018, the number has risen to 359 [43 "Management" and 316 "Administration"]. 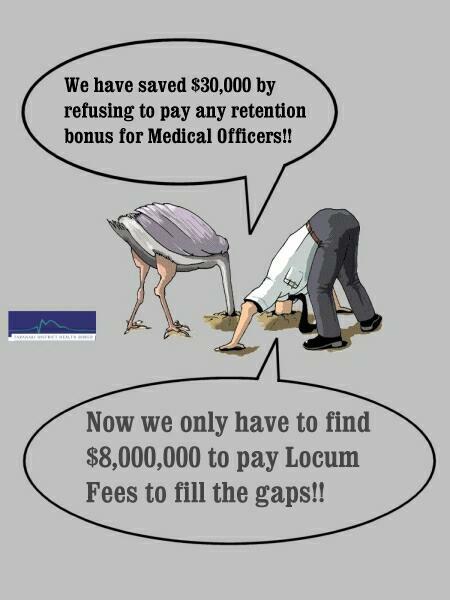 What is most upsetting about these numbers is that one third of the salary of just one of the hundreds of unnecessary managers would pay for all the Medical Officer retention proposals rejected outright by management and we would have much less difficulty recruiting and retaining these doctors!! [July 2007]: Public Deputation to the Taranaki District Health Board (TDHB) on the Provision of adequate lower-level Secondary medical services in South Taranaki. The minimum medical staff for a viable in-patient service including monitored beds has not been maintained so a more attractive position is proposed with a request to the Board to support this policy. This Deputation met with hostile management response inconsistent with the TDHB Mission statement of "Welcoming new ideas". - see Abstract [17.6KB] or SthTaranakiDeputation.pdf [62.6KB]. [May 2007]: Primary Heath Issues in New Zealand - politicians and bureaucrats are essentially speeding up the exodus of NZ trained doctors while doing nothing to retain and recognise the value of those left. I offer some solutions to current PHO, ethnicity and retention issues. - see Health2007.doc [56KB] or Health2007.pdf [53KB]. [July 2005]: The Medical Reference Group of the Health Workforce Advisory Committee has got it all wrong and produced a very political document that if implemented will see even fewer NZ trained GPs working in New Zealand - see Medical Workforce in NZ. [June 2004]: The Primary Health Crisis in South Taranaki paper. 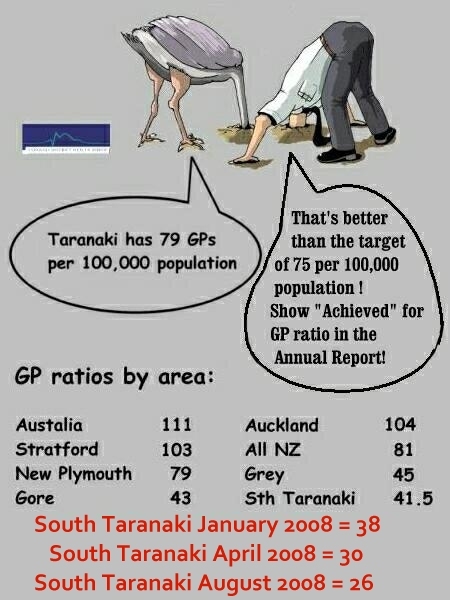 - Because of political and Health Board failure to understand that retention is far more important than recruitment, by mid 2007 the GP:population ratio for South Taranaki had become the lowest in the country at 41.5 GPs per 100,000 population and by March 2008 another three had left giving an incredibly low GP ratio of 30/100,000. All GP workforce policies to date have predictably sped up this loss. [June 2003, updated Sept 2004]: IPAs & PHOs - a brief note on capitation & control. - See IPAs & PHOs. [June 2004]: The National Primary Medical Care Survey report showing the failure of capitated practices to deliver (compared to non-capitated practices). [July 2004]: Minister of Health personal intellectual response to my PHO critique! Acrobat version [for printing] DearAnnetteKing.pdf [28KB]. [Nov 2004]:The Hawera GP appeal against the failure of TDHB to recognise us as rural TheChairman.doc [MS Word -30KB] or TheChairman.pdf [Adobe Acrobat -21KB]. 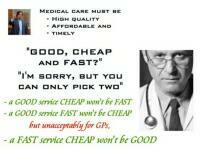 2009 brings evidence from both the OECD and the Ministerial Review Group "Meeting the Challenge" report [aka the "Horn Report" after the Group Chairman Murray Horn] that PHOs have been a huge waste of money, increased the demand for limited GP services and not achieved any stated goal - except reducing GP fees. 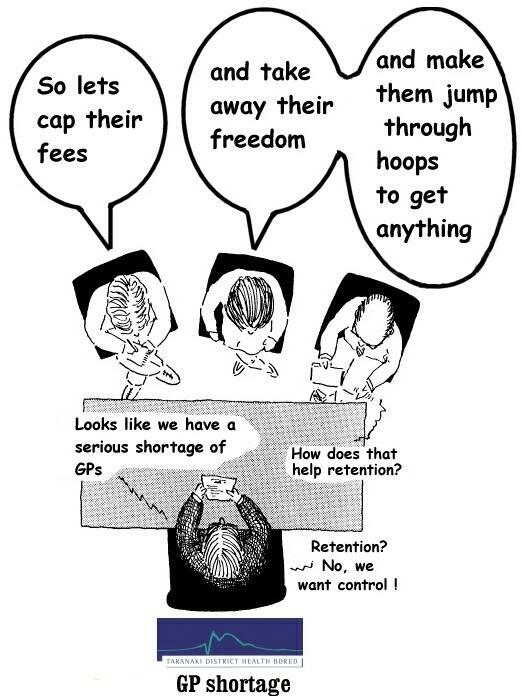 Of course if non-PHO GPs had similar patient subsidies, they would have extremely low fees as they don't have to support the additional bureaucracy. MRG Report "Meeting the Challenge" [Adobe Acrobat -250KB]. I am happy to have any feedback on any of these topics (see e-mail options on the right).